After being released for only a few days, the official mobile game of The Walking Dead skyrocketed to the top of Apple’s Top Free App chart for both the iPhone and the iPad in the United States and 11 other countries, including the United Kingdom, Brazil and Germany. 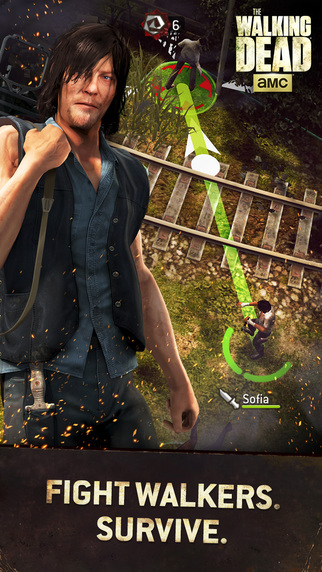 The Walking Dead: No Man’s Land was released on October 8th for the iPhone, iPad and iPod touch, quickly totaling more than 1 million downloads. Released by Next Games, close to 80 percent of players gave the video game the full five-star rating. with 31 million minutes played, 50 million walkers killed, 5 million missions completed and 1.5 million videos watched. The game will be released soon for Android devices in a few weeks, so stay tuned to Google Play for updates when the game is available.